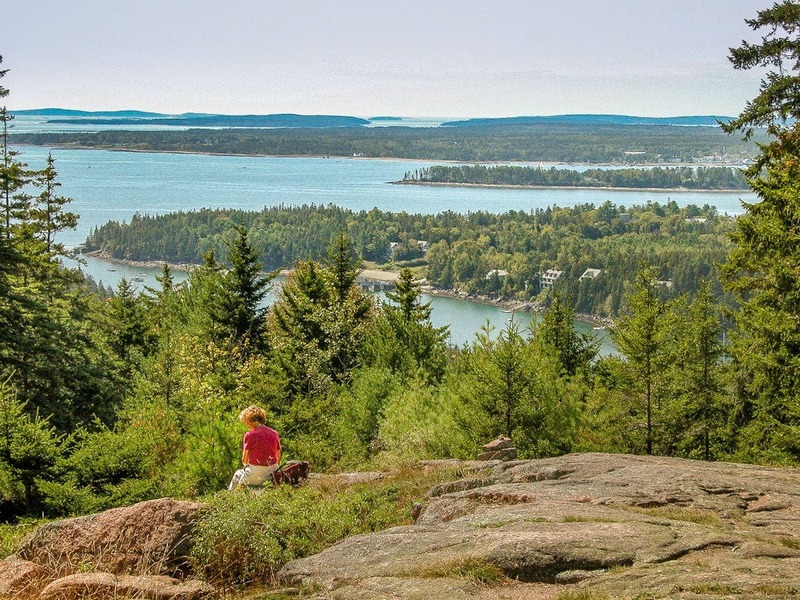 Every summer crowds of visitors flock to Maine’s Mount Desert Island to hike the beautiful windswept hills of Arcadia National Park and enjoy the bustling seaside town of Bar Harbor. 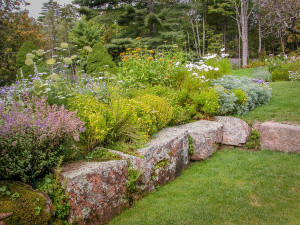 But few are aware that, just ten miles along the coast from Bar Harbor in the little village of Northeast Harbor, a pair of exquisite hidden gardens awaits your discovery. Asticou Azalea Garden and Thuya Garden, just two short miles apart, were created by a single designer, Charles Savage, in a single year. 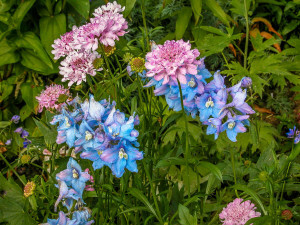 But oh– they could not be more dissimilar! 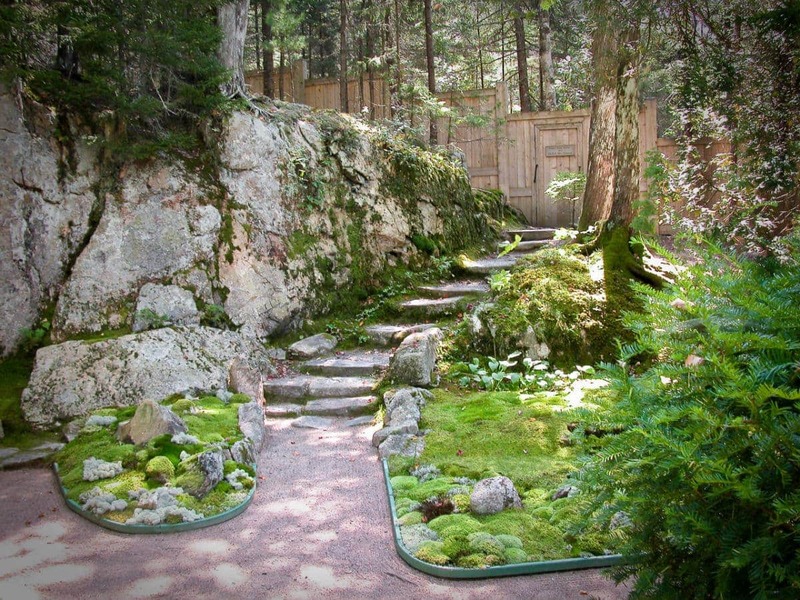 At Asticou Charles Savage conceived a serene ‘stroll garden’ based on Japanese design ideals where a new discovery awaits you around every corner. 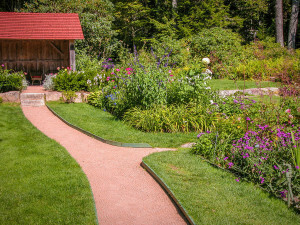 In contrast in Thuya he drew upon the English vernacular, with several small ‘pavilions’ from where one can enjoy long expanses of color laid out before you. 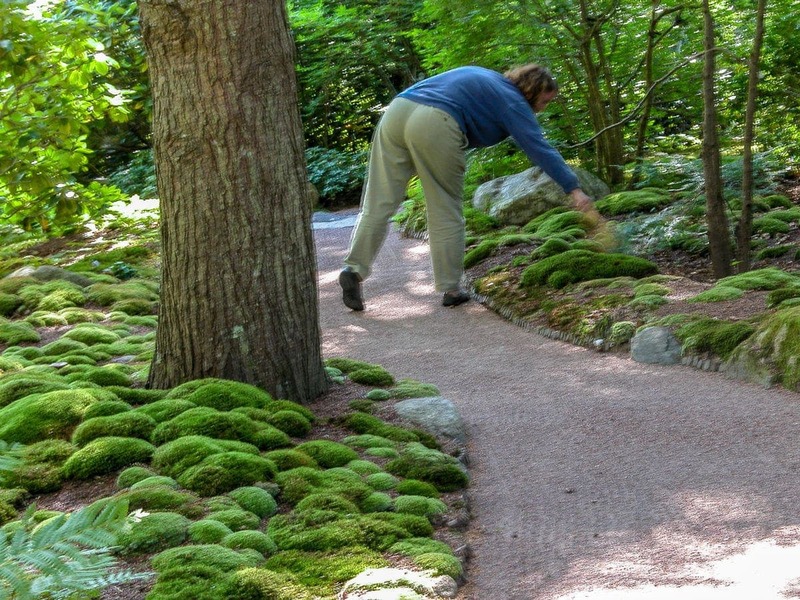 We entered through the formal Japanese gateway to see magnificent carpets of pincushion moss on either side of a raked gravel pathway. 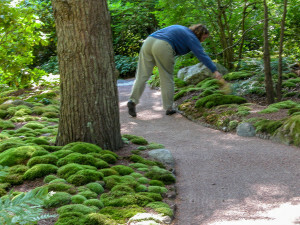 Then we watched, almost in disbelief, as an attendant gently brushed the mossy carpets to remove any stray pine needles that might have dropped the previous night! 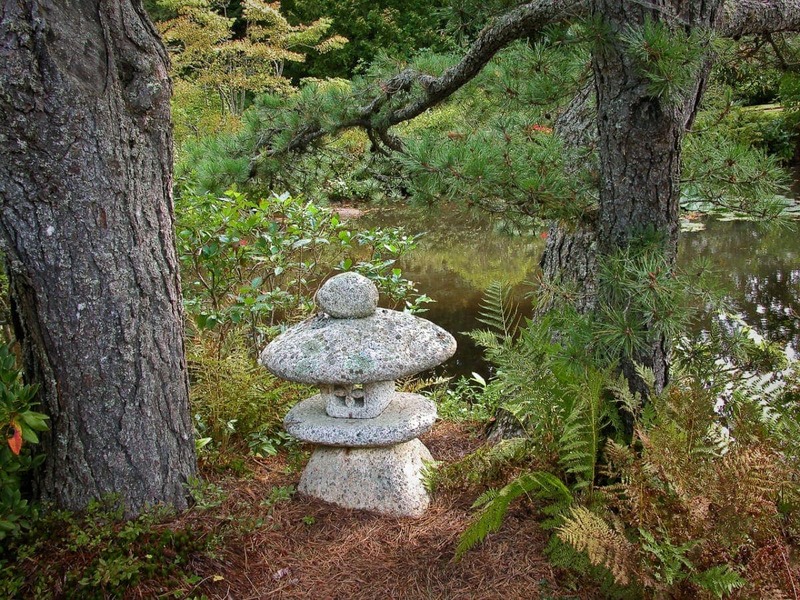 We wandered the flowing sandy paths edged with azaleas and rhododendrons, and followed a small brook strewn with weathered Maine boulders. 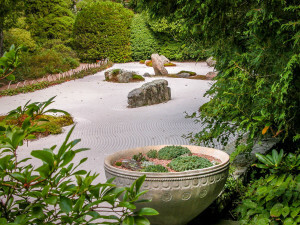 We paused at the perfectly-raked sand garden with carefully positioned rocks, symbolizing coastal islands in a shimmering sea. Finally we arrived at the Great Pond, complete with a grand collection of elegantly pruned evergreens and yet more azaleas. 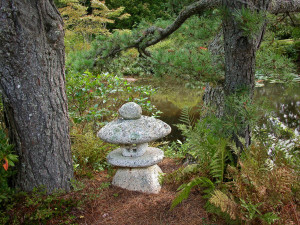 And, as we made our way back to the entrance via a different path, we reflected on the peacefulness and tranquility of our entire experience. 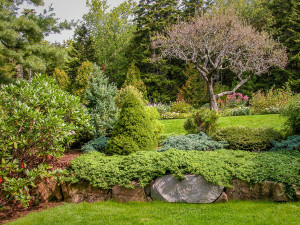 Thuya Garden is set high on an enclosed hilltop, surrounding Thuya Lodge, the longtime home of Joseph Curtis, a Victorian landscape architect. Visitors approach on foot, climbing the spectacular rocky staircase known as the Asticou Terraces. Eventually a pair of grand carved gates announce your arrival at Thuya Garden. 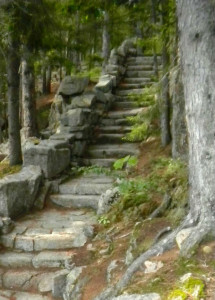 (For people unable to make the climb, there is handicap parking available at the Lodge). 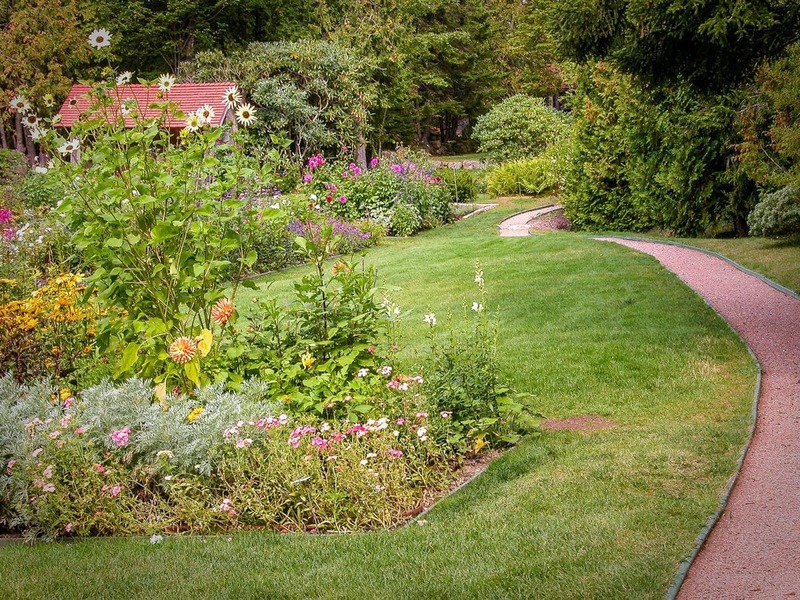 At the north end, formal beds filled with colorful perennials are reminiscent of the preeminent English designer, Gertrude Jekyll. As you stroll south raised beds edged in massive blocks of local pink granite, are home to more flowers, while a small pond evokes the wilder landscape of Arcadia. 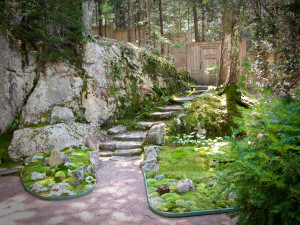 At the southern tip of the garden, look for the gate in the wall. 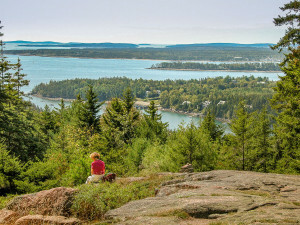 Follow the rustic mountain path up Eliot Mountain and enjoy the spectacular view across the sea and nearby islands. 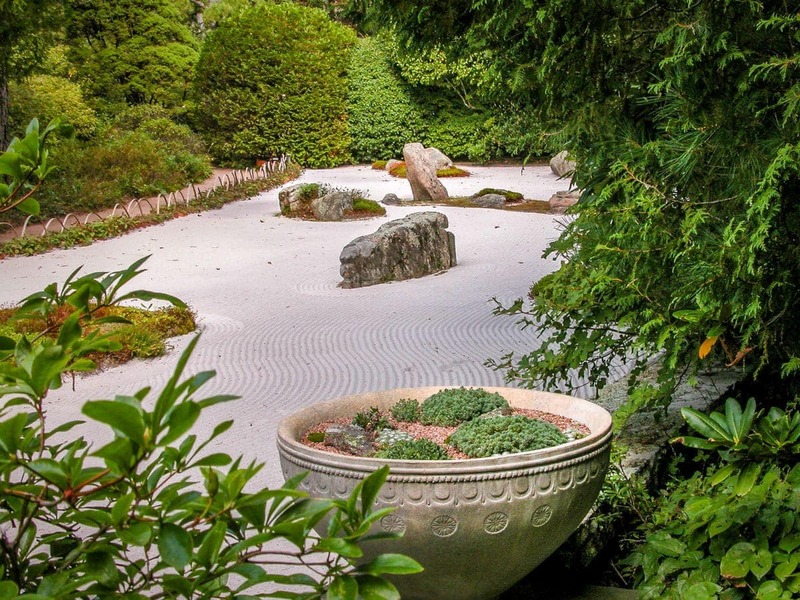 I wonder whether this was the view that inspired Charles Savage as he created the Sand Garden at Asticou. Sometimes the story surrounding the creation of a garden adds immeasurably to our enjoyment of the garden itself. This is certainly the case with Asticou and Thuya Gardens. It is the story of Charles Savage and his three special friends, and the incredible events that surrounded them. Charles Savage was a life-long native of Northeast Harbor and innkeeper of the family-owned Asticou Inn. 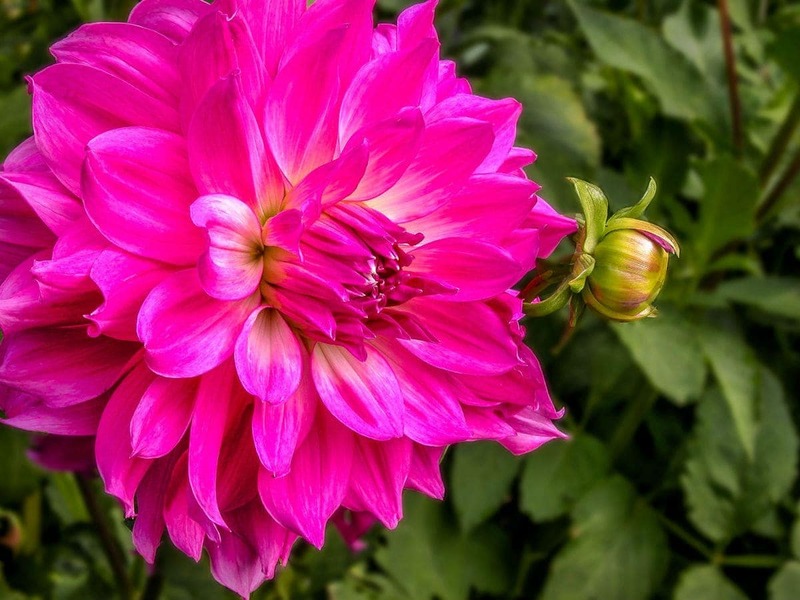 By all accounts he was a dapper man who mingled comfortably with the well-heeled visitors to Northeast Harbor—people who resided in Boston for most of the year but, during summer’s heat, retreated to Mount Desert Island. 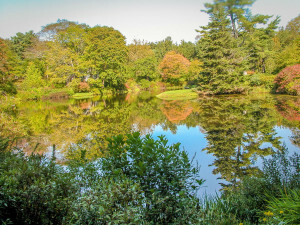 Among his very special summer friends he counted two respected landscape architects, Joseph Curtis and Beatrix Farrand, and the philanthropist, John D. Rockefeller Jr..By all accounts Charles was a dapper man who mingled comfortably with the well-heeled visitors to Northeast Harbor–people who resided in Boston for nine months of the year but maintained expansive Mount Desert Island properties as a retreat from the city during the heat of summer. 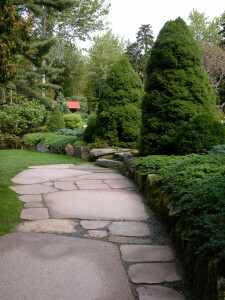 Charles Savage was also a self-taught but extremely skilled landscape designer. 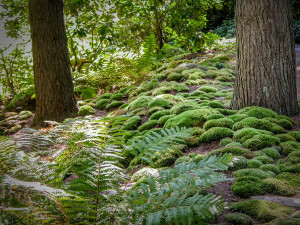 And among his very special summer friends he counted two well-known and respected landscape architects, Joseph Curtis and Beatrix Farrand, and the philanthropist, John D. Rockefeller Jr..
Back in 1880 Joseph Curtis purchased the steep rocky hillside across from Northeast Harbor known as the Asticou Terraces. Soon he created the Asticou Terrace Trail, a beautiful stone staircase interspersed with scenic pavilions, running from sea level to the upper reaches of his property where he built a rustic retreat called Thuya Lodge (for Thuya occidentals, his beloved native white cedars). And In 1905 as a gift for future generations, he bequeathed his entire property as a public preserve for the quiet recreation of the people of Northeast Harbor and their summer guests. Finally, to ensure his wishes would be honored, he created an endowment trust and named his great friend, Charles Savage, as sole trustee. 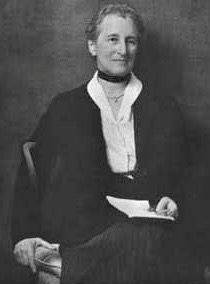 Beatrix Farrand was a pioneering woman landscape architect who, during her long career, designed an array of noteworthy properties, including the famous Dumbarton Oaks in Washington D.C.. 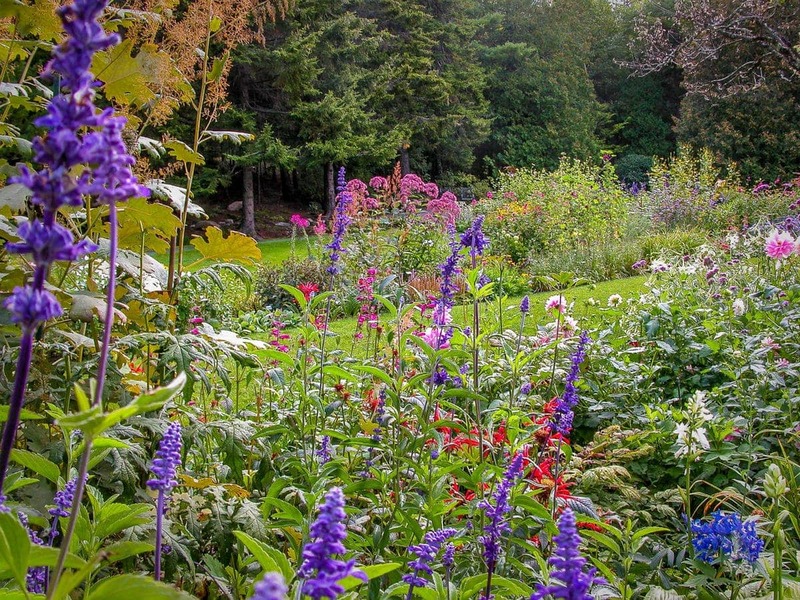 When Beatrix was eight years old her parents purchased a large estate on Mount Desert Island known as Reef Point, where later she would design the extensive gardens. 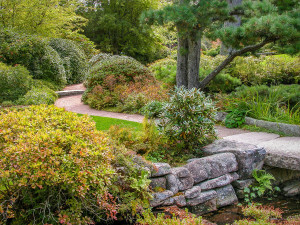 Early on Beatrix was greatly helped by her teacher and mentor, Charles Sargent, director and plant breeder at Boston’s famous Arnold Arboretum, who also gave her many unique and special plantings for Reef Point. 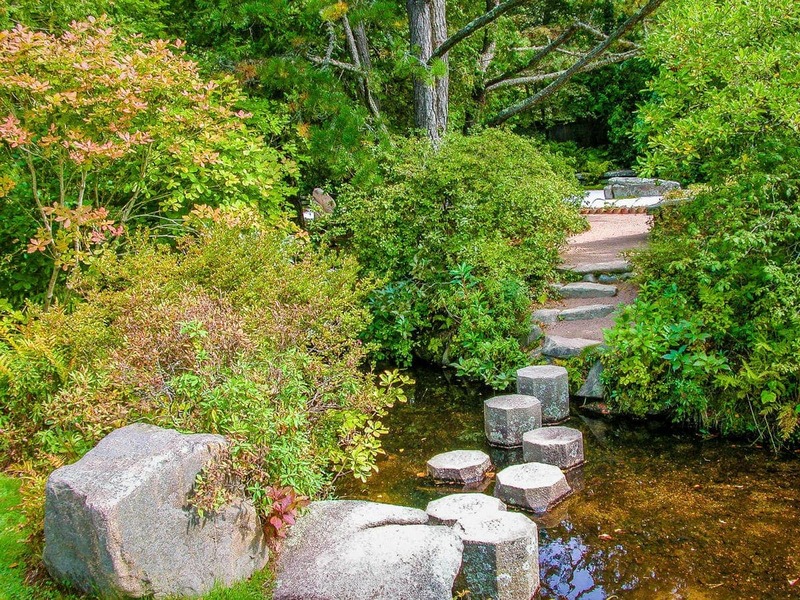 And later in life, after inheriting the entire estate, she continued to expand her extensive Reef Point gardens. John D. Rockefeller Jr., the only son of Standard Oil founder J.D. Rockefeller Sr. had a successful business career. 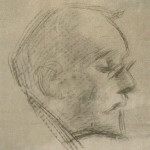 However, at heart, he was a philanthropist who supported a vast array of social, scientific and artistic causes. 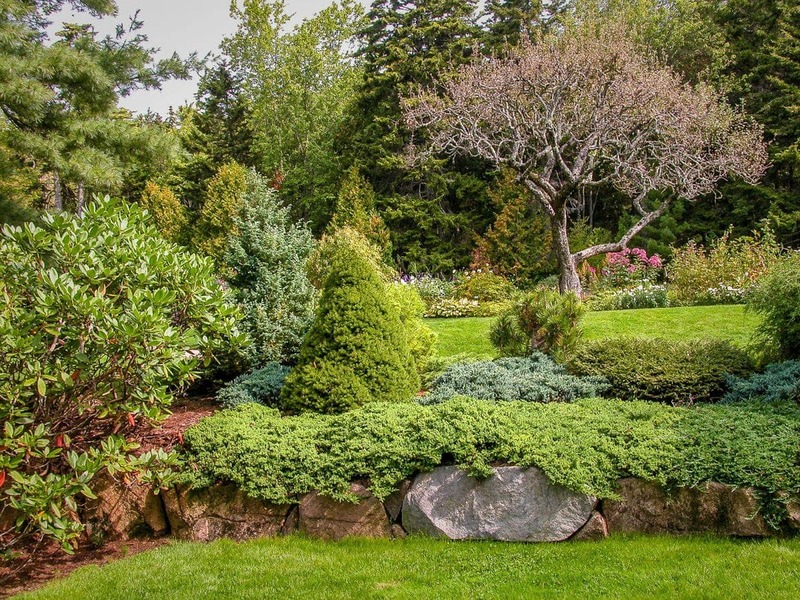 JDR Jr. and his wife Abby were also true garden lovers, commissioning Beatrix Farrand to design a beautiful garden (which still exists today) for their Mount Desert Island property. Soon JDR Jr. became one of Charles Savage’s special summer friends. And, as we shall see, he also financed the creation of Asticou and Thuya Gardens. In 1955, out of the blue, everything changed. A disastrous wildfire on the island resulted in a sudden increases in taxes. Beatrix, realizing she no longer had the means to properly maintain her home, decided to sell Reef Point. 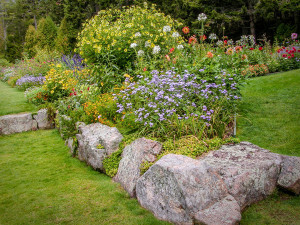 She also knew she could not bear to witness her beloved gardens descend into decline. So, in a single determined move, she resolved to destroy everything, including all the rare trees and shrubs that had been given to her by Charles Sargent. After hearing about Beatrix’s precipitous decision to destroy all her beautiful plants, Charles Savage was utterly devastated. Then his thinking side took over. He approached his good friend, JDR Jr, asking him to purchase the entire Reef Point plant collection. 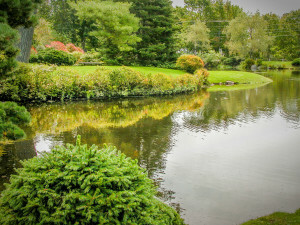 Furthermore Charles proposed transforming the swampy land he owned at the head of the Northeast Harbor inlet into a brand new garden. Amazingly JDR Jr agreed to finance everything! For almost a year Charles worked obsessively on the mammoth undertaking that resulted in Asticou Azalea Garden. First he oversaw the extensive site preparation—draining the swampy land, creating rocky waterways and finally excavating what would become the Great Pond. 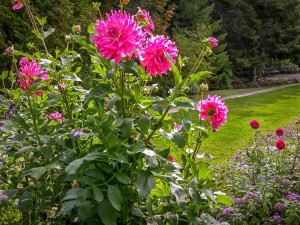 Then he supervised as hundreds of full size trees and shrubs—evergreens, azaleas and more—were dug at the Farrand property and replanted at Asticou. 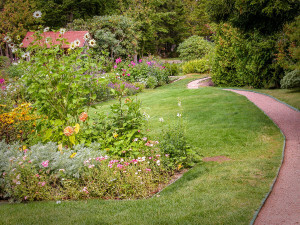 As the year wore on Charles realized that, with Farrand’s extensive perennial collection, he would need additional land. 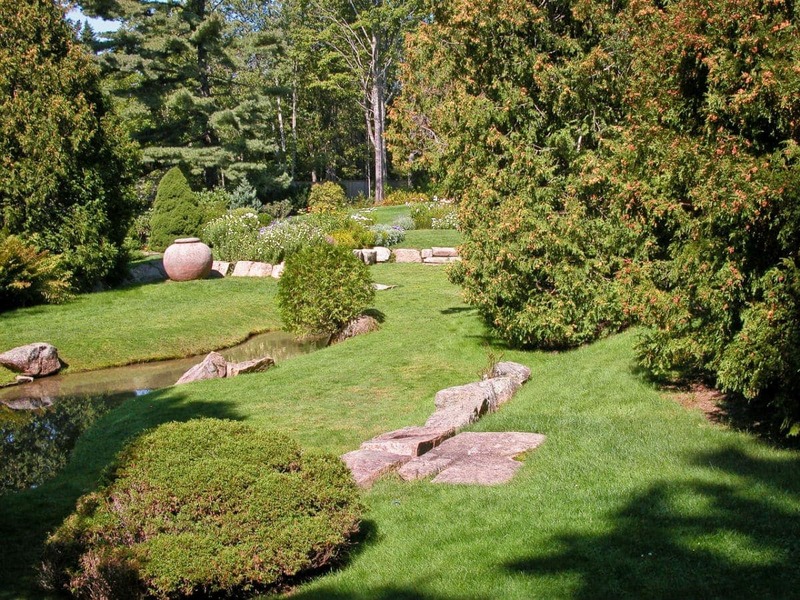 So he turned to the Curtis estate (where he was the trustee), developed the design and oversaw the remaining planting of what was to become the new Thuya Garden. Thus fifty years ago a strange turn of events, with Beatrix Farrand’s impulse to destroy her historic plant collection, resulted in the creation of two beautiful gardens. Today these gardens are open to the public and lovingly maintained by the Garden and Land Preserve. 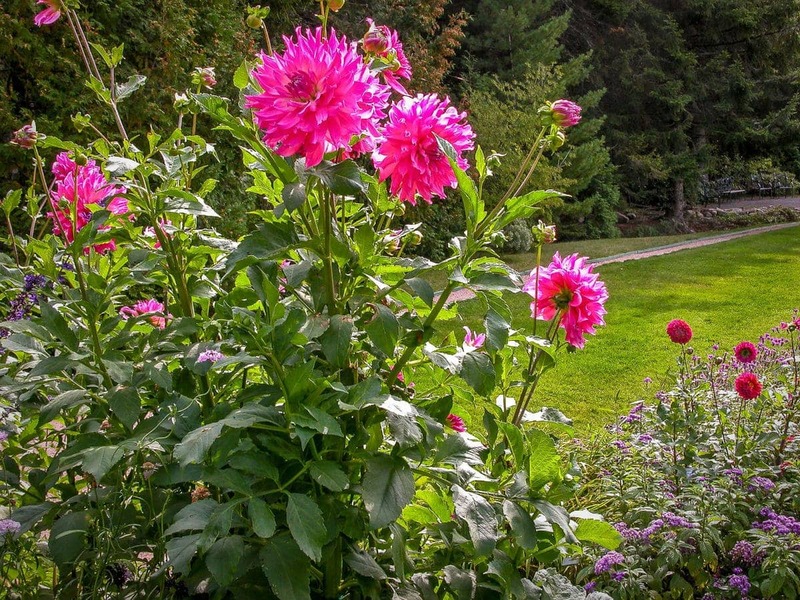 Today both gardens are beautifully maintained by the Land and Garden Preserve who are dedicated to preserving the aesthetic and spiritual heritage of these lovely public gardens. 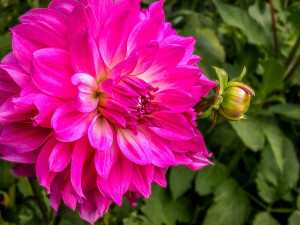 Certainly many people may want to plan a visit in late May or early June to coincide with the blooming of both the azaleas and the cherry trees. 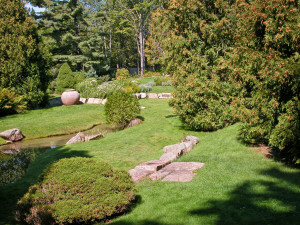 But both gardens are truly lovely throughout the season. 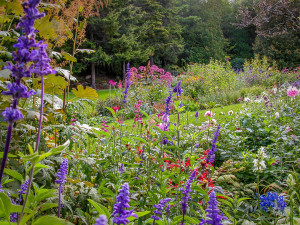 At Thuya the perennials gradually build throughout the summer to reach their crescendo by August. 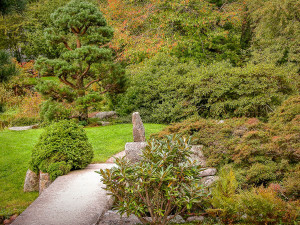 And at Asticou the sweeping shapes of the paths and beds, as well as the textures of the individual plants are always a quiet delight whatever the season, while in fall many shrubs don spectacular colors. 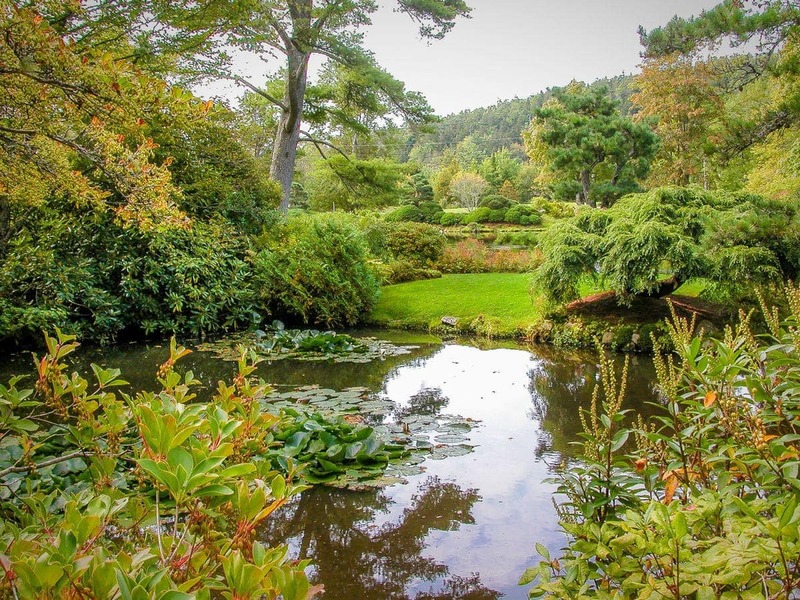 So, whenever you have occasion to make it that far along the lovely Maine coast, plan an extra day to visit Thuya and Asticou gardens. You will not be disappointed! !